Instead of stuffing your invitation envelopes with glitter that inevitably gets everywhere, why not spritz each card with rose essential oil? The aroma of rose essential oil immediately sets a romantic tone that your guests will absolutely adore. 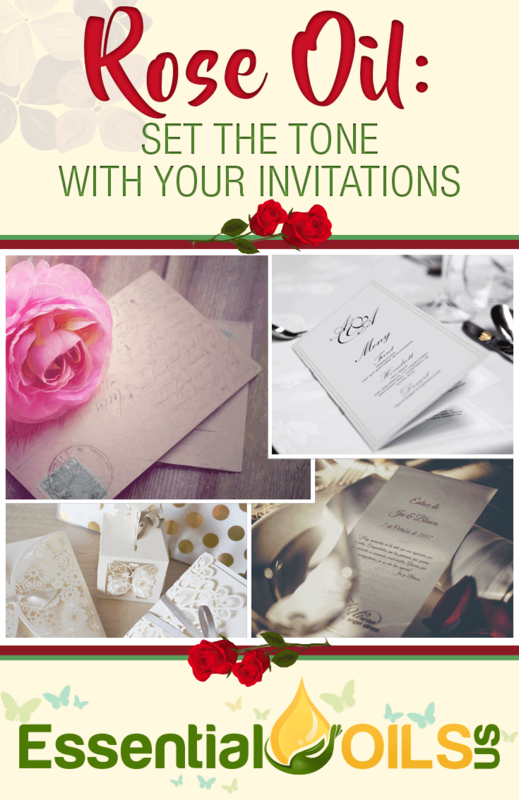 It’s also a fairly affordable way to give your invitations a whimsical flair. All that you have to do is purchase a small spray bottle and fill it with water before adding about ten drops of rose essential oil. Then, give each invitation card a couple of spritzes. Make sure that you spray the cards from a distance so that each card isn’t splattered with oil stains. The potent aroma of rose essential oil ensures that the fragrance will still be strong when the invitations arrive at your guests’ homes. Unless you’re a zen master, you’re likely going to experience some feelings of nervousness on the big day. The good news is that clary sage essential oil is nature’s sedative, capable of relaxing the nervous system and keeping your thoughts from spiraling out of control. Plus, its aroma is dreamy. 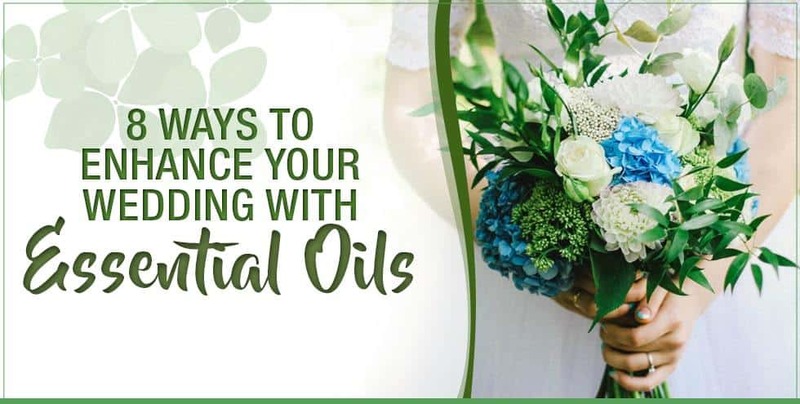 If you want to enjoy clary sage oil’s calming effects on your wedding day, simply diffuse the oil in the room in which you’re getting ready before the ceremony. If you don’t already own an oil diffuser, you can find one online that’s very affordable. You’ll be amazed by how much calmer you feel after spending some time basking in that wonderful aroma. When it comes to your wedding, every detail counts. One detail that makes a lasting impression is your wedding favors. 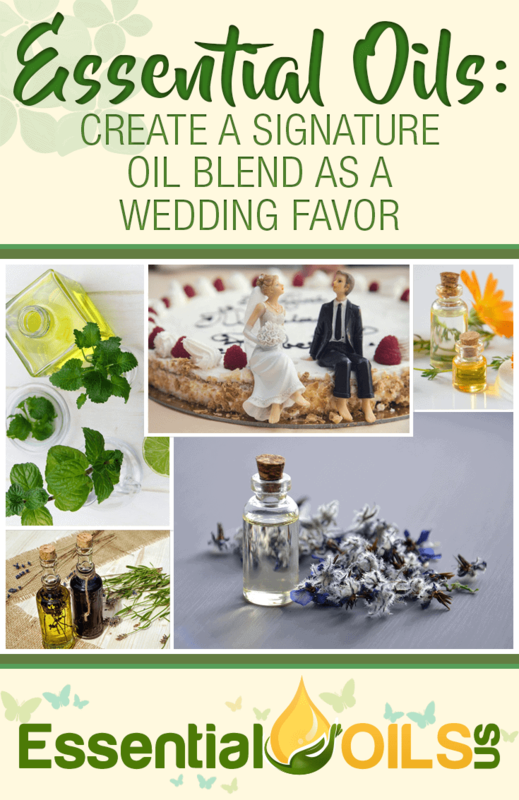 When it comes to deciding on the perfect memento to bestow upon your guests, you can’t go wrong with a homemade essential oil blend. It’s personal and extremely useful. And, your guests will be grateful that you took the time to create a special blend of oils just for them. The essential oils that you use is completely up to you. You can never go wrong with a blend of oils like lavender, clary sage and bergamot, all known to calm the mind. Or, you can combine oils that are known to boost one’s mood such as those from the citrus and mint families. If you’re having an outdoor wedding, there’s a good chance that you’re going to have to deal with bugs. These uninvited guests can become a pain when you’re trying to enjoy your special day. Between mosquitoes that leave itchy bites and flies that can’t wait to get a taste of that wedding cake, insects are everywhere when you least want them around. Fortunately, a wide variety of essential oils can combat insects of all kinds. Between lemongrass’ profound ability to keep mosquitoes away and peppermint oil’s ability to repel flies, there’s an insecticidal oil for every pesky critter. These days, it’s not uncommon to see a “relief station” at an outdoor wedding. Typically, these stations have bug spray, sunscreen, hand sanitizer and other necessities. 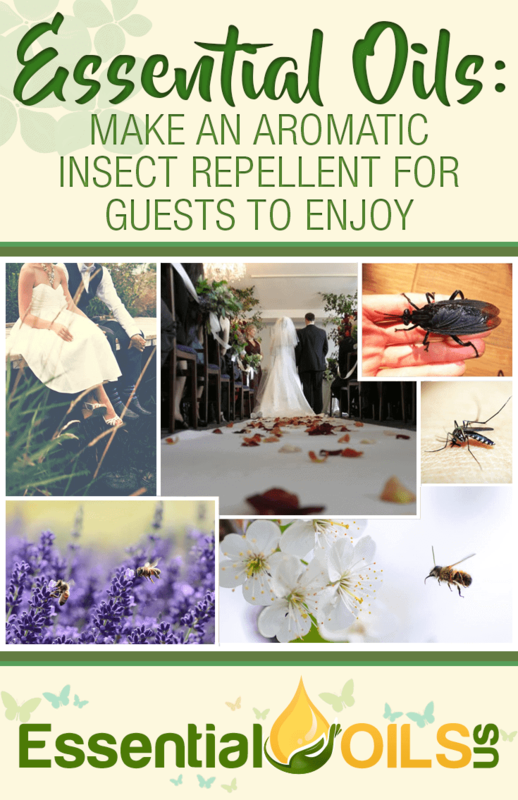 Instead of purchasing a bottle of commercial bug spray that’s loaded with irritating ingredients, why not opt for a homemade insect repellent spray that’s composed of aromatic essential oils? If you’re concerned about insects checking out your food, you can diffuse these insect-repelling oils a couple of feet away from any place where food is being served. Everyone dreams of having lush flowers at every table until they discover just how expensive these beautiful arrangements are. Nowadays, it’s not uncommon to find brides using artificial flowers as centerpieces. These fake flowers look incredibly realistic and are amazingly affordable. 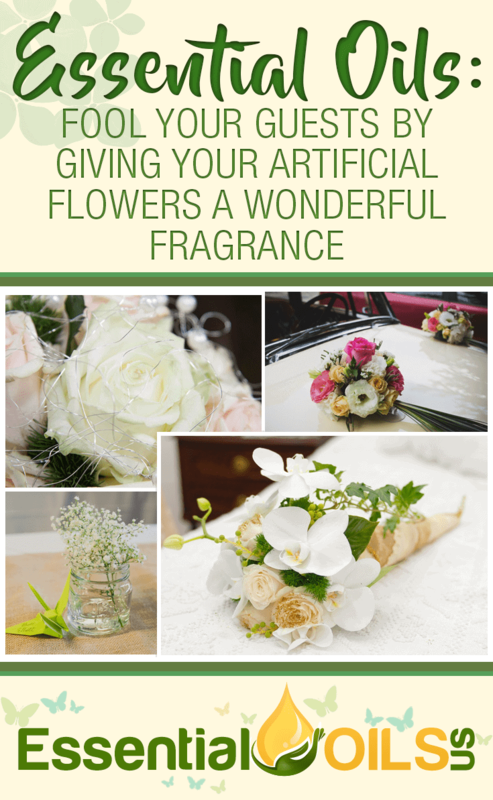 If you want to really fool your guests, you can spritz your artificial flowers with floral essential oils. Geranium, lavender and rose essential oils can all provide your centerpieces with a heavenly aroma that your guests will absolutely love. Have you ever noticed how a whiff of a particular scent can flood your mind with memories? 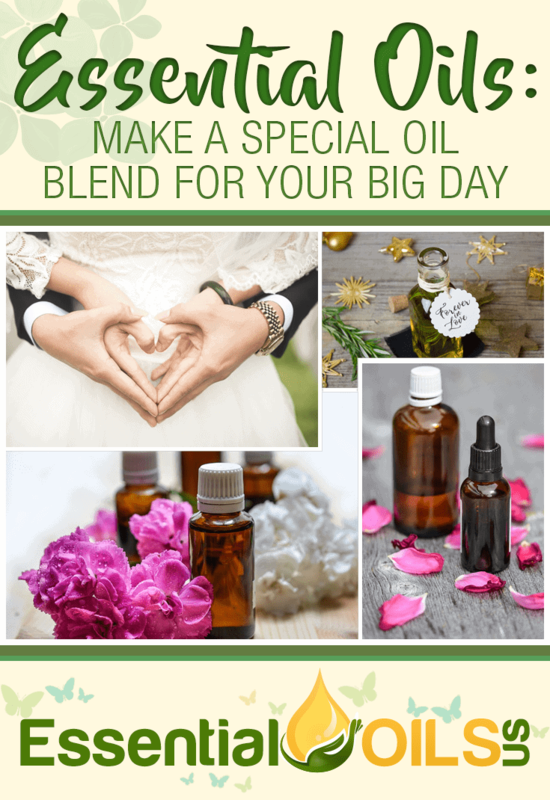 If you want to be able to relive the wonderful moments of your wedding day for years to come, you can do so by creating a special blend of oils that you wear only on the day of your wedding. You can mix your very favorite scents and dab them onto your neck, ears and wrists so that you’ll smell them all day long. Then, you can keep the leftover amount in a small dropper bottle and simply remove the bottle’s lid whenever you want to remind yourself of the happiest day of your life. These days, more and more couples are finding creative alternatives to rice for guests to throw at the end of the wedding reception. One of the most popular options is bubbles. These bubbles don’t make a mess and won’t harm any hungry birds who may be lingering around your venue. If you want to put a creative spin on the bubble idea, try adding some drops of your favorite essential oils to each bottle. 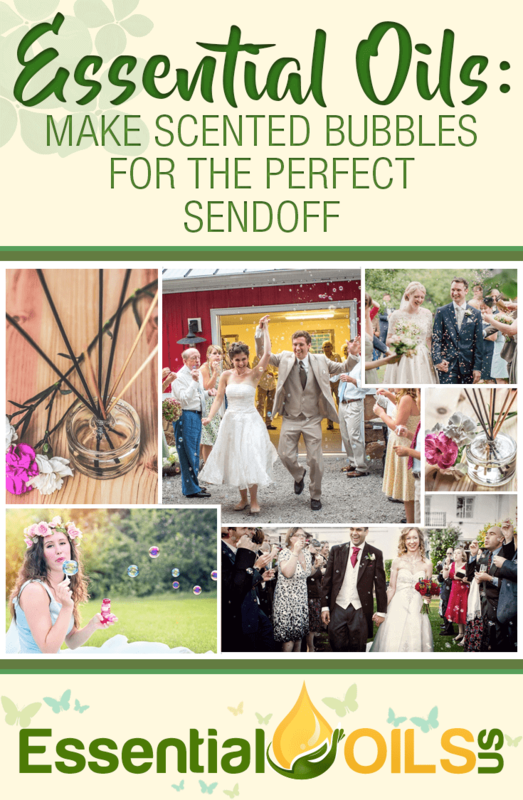 When your guests start blowing bubbles your way, the air will have an amazing aroma that will be unforgettable! If you’re looking for an easy way to fill your reception hall with the wonderful aromas of essential oils, look no further than your linens. Those tablecloths, napkins and seat covers are made of absorbent materials that will retain the fragrances of those oils for hours. All that you have to do is make a spray that contains several drops of your favorite oils and some water. Then, spray your linens from a distance so that the oil droplets don’t leave marks on the fabric. 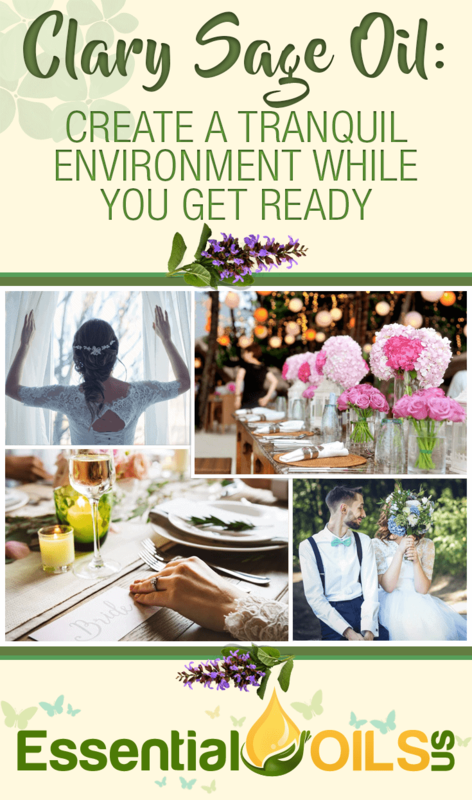 These eight tips will improve the overall experience of both you and your guests on the most important day of your life. 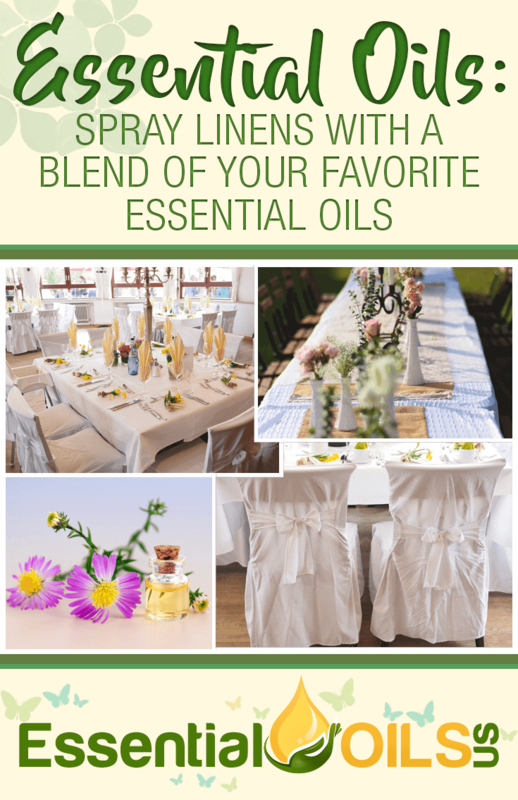 All of these essential oils are incredibly affordable and will captivate everyone in attendance with beautiful smells while providing a variety of health benefits.